Superdry men's Nu embossed logo crew jumper. 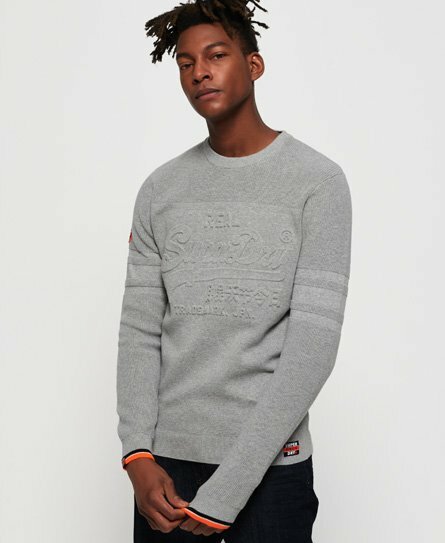 This classic crew neck jumper features an embossed Superdry graphic on the chest, contrast stripe detailing around the cuffs and logo badge on one sleeve. Finished with a logo tab on one cuff and logo badge above the hem, pair with jeans and boots for the perfect casual look.